A very disappointing news broke many Filipinos through out the web today, after our country, Philippines failed to win the bid to host next years FIBA Asia Cup. The hosting rights for the 27th FIBA Asia Championship was awarded to one of our opponent country 'Lebanon' yesterday, September 19, 2012. Many might have been really disappointed about the result, because the committee who went to present our country are composed of people with big names like, SBP President Manuel V. Pangilinan, SBP Executive Director Sonny Barrios, PBA Commissioner Chito Salud, and former Asian Basketball Confederation Secretary General Moying Martelino, while the only person who presented the Lebanon is just one of their marquee player named Fadi El Khatib. A very confident El Khatib earlier said in an interview, "I think I covered everything." Which means that Lebanon looking so confident before the presentation is positive that they will win to host this coming years FIBA Asia Cup. Meanwhile, many Filipino's had expressed their disappointment through the micro-blogging site Twitter, here are few of them with their sentiments regarding the bidding. @coachot - "Pinapunta pa si @iamMVP at si Com Salud, I bibigay din pala sa lugar na malapit sa gyera at player lang Ang nag present. Tsk tsk tsk!" @MrStark7 - "Lebanon is hosting next year's FIBA Cup over the Phils? they can't be serious. not a good atmosphere to play in.. seriously. 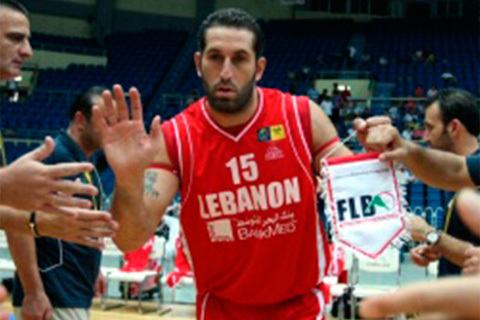 been there"
@yastajima - "Lebanon to host the 2013 FIBA Asia? Habang naglalaro may nag-bobombahan at nagsasabugan!! hahaha Puro gyera dyan eh hahahaha :D"
@whooppss - "so disappointed with FIBA Asia's choice of Lebanon over PHI! :/ kasi pag sa Pinas ginawa yun.. di na nila maririnig ang BUZZER! @coachchot"
Well, I guess there are just things that is not yet made for the Philippines. Maybe by 2015 Philippines will the chance to host FIBA Asia Cup since 2014 is already given to Madrid, Spain. Still, Smart Gilas Pilipinas will have my full support in this event. Go Gilas! Take this year's championship. Comments or suggestions about "Philippines failed to host FIBA Asia Cup on 2013" is important to us, you may share it by using the comment box below.